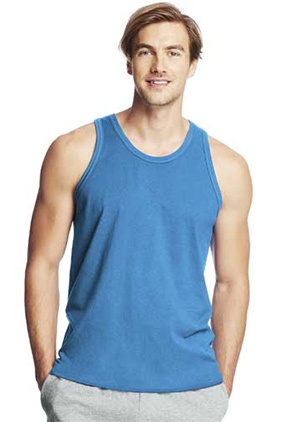 The blended ring-spun fabric gives this tank an extremely soft hand. 60% ring-spun cotton/40% polyester 4.5 ounce performance tank. Moisture wicking X-temp technology with dynamic vapor control adjusts to your body temperature for all day comfort.40+UPF rating, excellent UV protection. Tag free neck label.